Chez Reavie mastered windy conditions to take a one-shot lead and Brooks Koepka is well poised after the first round of the CJ Cup. It is a decade since Reavie claimed his only PGA Tour title, but the world number 64 made a promising start at a tough Nine Bridges course on Thursday. The American shot a four-under 68 to go out on his own at the top of the leaderboard on a cool day on Jeju Island. Reavie made five birdies and dropped just the one shot at the 13th to hold a slender advantage over Danny Willett and Kim Si-woo. 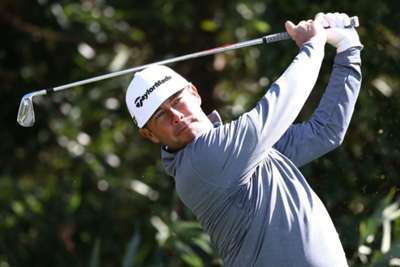 A double bogey at the second cost Kim the outright lead in his homeland, while Ian Poulter is among seven players a further stroke back on two under. Koepka was one of only 18 players to break par on a course with tricky sloping greens and deep bunkers, the three-time major champion starting with a one-under 71. Paul Casey matched PGA Tour Player of the Year Koepka's opening round, with Hideki Matsuyama also three shots off the lead. Defending champion Justin Thomas is one over and Marc Leishman - an emphatic winner of the CIMB Classic last weekend - has work to do following a three-over 75.